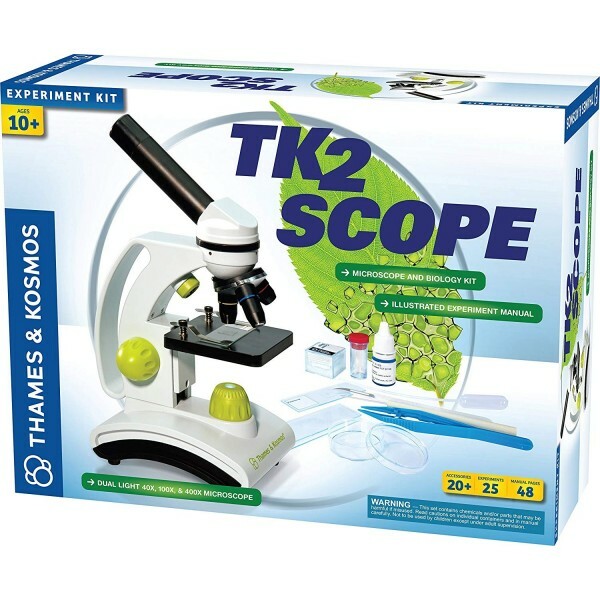 Embark on a guided journey through the microscopic world, revealing its hidden creatures and unseen structures with the new Thames and Kosmos TK2 Scope. 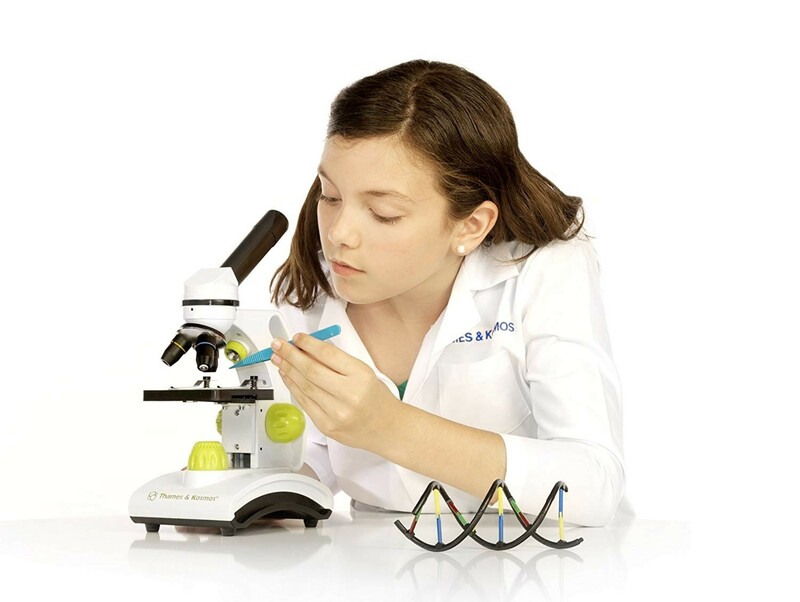 First, learn how to use the microscope and all of its parts. 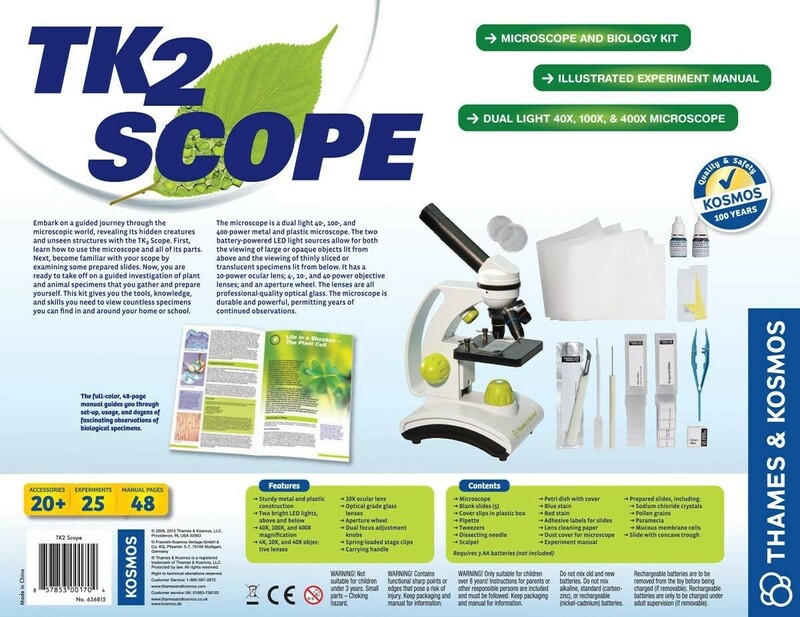 Next, become familiar with your scope by examining a variety of prepared slides including sodium chloride crystals, pollen grains, and mucous membrane cells . Now, you are ready to take off on a guided investigation of plant and animal specimens that you gather and prepare yourself. 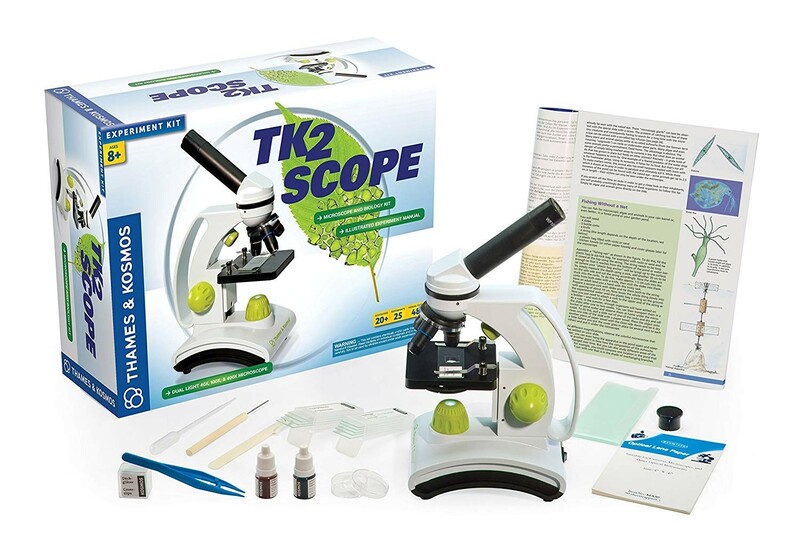 This kit gives you the tools, knowledge, and skills you need to view virtually any specimen you can find. 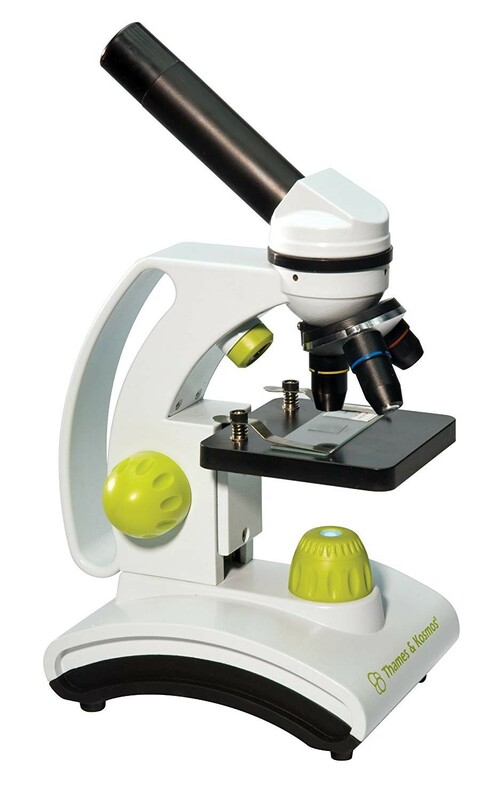 The microscope is a dual light 40-, 100-, and 400-power metal and plastic microscope. The two battery-powered LED light sources allow for both the viewing of large or opaque objects lit from above and the viewing of thinly sliced or translucent specimens lit from below. It has a 10-power ocular lens; 4-, 10-, and 40-power objective lenses; and an aperture wheel. 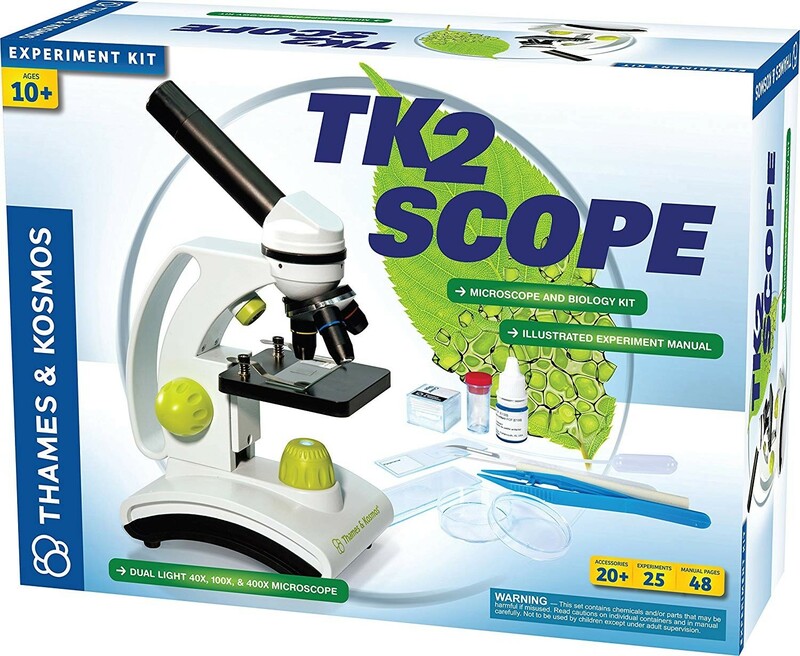 The full-color, 48-page manual guides you through set-up and usage of the scope and the 20 parts and tools included in the kit, and provides experiments to try dozens of fascinating observations of biological specimens.